Alarm management in general continues to be a big issue in process plants, driven largely by the need to conform to current standards and best practices like ISA 18.2, EEMUA 191, and IEC 62682. The primary goal of these standards and practices is to develop a continuous improvement approach to alarm management and ease the alarm burden on operators so they only see the information they need to see, particularly during process upsets or other abnormal situations. A crisis emerged when the ability to easily configure alarms in the modern control system reduced the cost of adding a new alarm to a system essentially to zero. 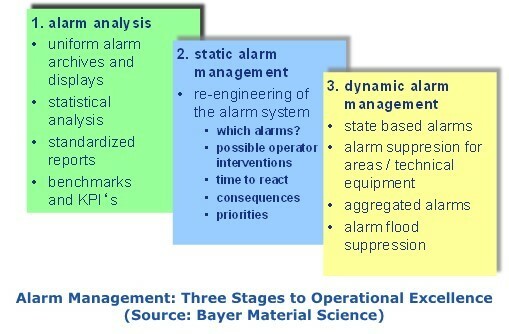 The dramatic proliferation of alarms that followed made it almost impossible for operators to see critical alarm data. In too many instances, this resulted in incidents and unplanned downtime. However, adherence to standards and best practices is not the only alarm management issue facing end users. Many of the alarm management solutions implemented today have become obsolete. Thus, many end users are interested in migrating to a new alarm management application. In many cases, end users are also interested in improving their alarm management philosophy and implement some of the newer aspects of these solutions, such as dynamic alarms that can change in lock step with the dynamically changing state of the plant. Many end users are finding out, however, that choosing the best option for a partner to help implement these solutions is not always straight forward. Most DCS suppliers have made significant progress expanding their scope of alarm management applications and solutions. Every DCS supplier is involved in alarm management in some way, whether they offer their own alarm management solution or very tight integration with a third-party solution. Every DCS supplier also offers some manner of services related to alarm management. The level of sophistication of these services varies and should be evaluated on a case-by-case basis. DCS suppliers tout tighter integration with their process automation systems and a growing list of services and solutions capabilities to assist end users in their alarm management projects. DCS suppliers also offer a wider range of complementary applications and services, with alarm management being just one aspect of a full offering of applications and solutions to cover the entire spectrum of process automation. Meanwhile, many independent, third-party suppliers, smaller independent software companies, and system integrators have developed customized software solutions for different aspects of alarm management that can work with a wide variety of process automation systems. End users must evaluate each supplier on a case-by-case basis to determine the benefits and risks posed by tight integration and interdependencies with the DCS, or very tight integration with the vendor’s DCS, but not others. 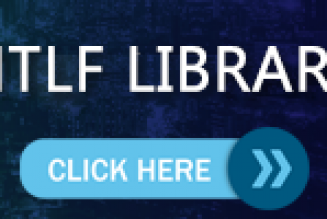 ARC’s recently released Alarm Management market research discusses these and related trends in far more detail.